It's been 250 days since I quit my stressful job in software engineering to dip my toes in the early retirement waters, so I wanted to give you an update on post-retirement life. First, some big news: I was one of the winners of the FinCon scholarship program this year! If you're going to be at FinCon in September, I'd love to meet you in person. This is my first year going to the conference, and I'm looking for cool people to hang out with, so let me know if you'll be there. If you want to go but haven't signed up yet, use this link to buy your ticket before prices increase at the end of the month. Oh and speaking of FinCon, did you know you can nominate this blog for a Plutus award? I'm in the running for best new personal finance blog, and the winners will be announced at the conference! If you'd like to nominate me, simply click here, enter your name and email, then scroll all the way down and click the submit button. The link automatically fills in my blog in the right spot, so you don't have to type anything else. Other big news: A few weeks ago, Brad and Jonathan of ChooseFI interviewed their wives on an episode of the podcast, and during the hot seat, Laura chose my article “A Letter to My 22-Year-Old Self” as her favorite article of ALL TIME! I was beyond excited, as this is one of the articles I am most proud of. I wrote it as a guest post on the Fiery Millennials blog a while back; if you haven't already, you can read it here. The first thing to notice is I get a lot of sleep – around eight hours every night. This is a luxury, and I'm enjoying every minute of it. I still try to start the day as soon as the sun comes out, so I've gone back to using the alarm clock (gasp). As it turns out, my hatred of the alarm clock was unwarranted; getting up early isn't so bad when you get to spend the day doing the things YOU want to do! After breakfast, I set my daily goals, and start a four-hour block of ‘structured' time, which is basically my terminology for focused work. Writing for the blog, producing music, doing important household maintenance, etc. Since I am pretty easily distracted, I use the ‘Forest' Pomodoro timer app to stay focused during this block. This is in contrast to my four-hour block of ‘unstructured' time that I have in the afternoons, which is basically flexible time to do whatever I want: run errands, play piano, read a book, or even play video games. This routine really helps keep me feeling accomplished while providing plenty of flexibility to work around life. In the afternoon I start my fitness routine, which has been going great. My brother is my personal trainer, and with his help, I've gained over 10 lb of muscle and lowered my body fat by 5% so far. I still have a ways to go, but I'm extremely pleased with the results I'm seeing. Sticking to a routine is KEY – an hour-long workout can feel like torture if you don't have a solid plan. Consistency is what matters most here. My routine isn't the only thing that's improved: so has my accountability. 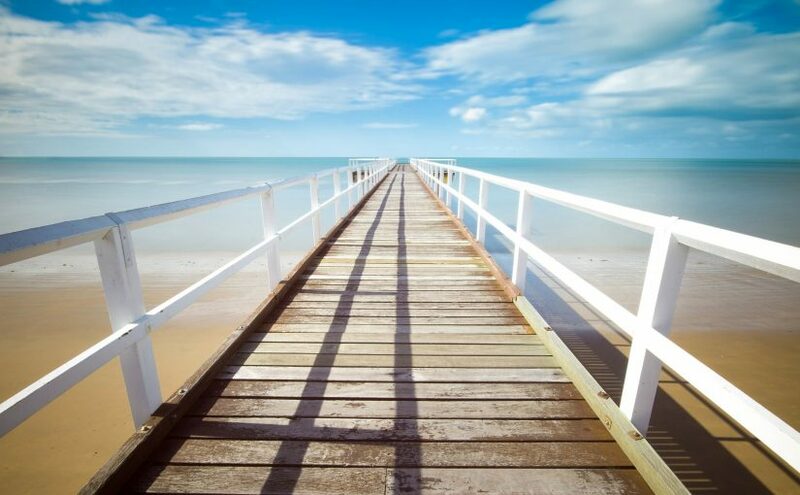 A few months ago, I joined an Early/Semi-Retirement Mastermind group with the bloggers from (name dropping time!) Fiery Millennials, Shift Upwards, Kiwi and Keweenaw, Dragons on FIRE, and I Dream of FIRE… It's a monthly conference call where we all share our transitional challenges and triumphs. This has been a great experience – having a group of people who understand your situation and can keep you motivated and accountable for your goals is a wonderful thing! I can't speak highly enough about this group – at times I feel like a slacker, because, well, I am. These people are really productive! The Mastermind also helps with another realization I've made since quitting cubicle life: I miss chatting with coworkers. I totally underestimated the importance of socialization at work, even the small stuff. Stopping by a coworkers desk to see if they saw the latest movie, sitting down for a ten-minute coffee break, etc. I didn't realize how important these daily interactions were to my psyche until I left the workplace. Having the Mastermind is helping out quite a bit, and I've also been working hard to get over my introverted nature and reach out to more people. Justin from Root of Good recently wrote about the importance of staying social in early retirement, and it got me thinking about ways to make friends. One way I've reached out is by joining a local hiking* group with some people in my area. Once a week, a group of us meet up at a new hiking spot and spend a few hours out in nature. It's peaceful, helps me get my steps in, and keeps me social. One of the friends I made on a recent hike! All this time in nature has helped me realize that I didn't really hate my job, or work in general, but instead, I hated my lack of work-life balance. Now that my burnout has subsided, I'm realizing that – similar to my hatred of the alarm clock – my frustration was misplaced. Looking forward, I can see myself potentially taking on some future part-time work (especially if I can't convince The Wife to quit), not because I need the money, but because I enjoy feeling productive, useful, and social. The key is having a balance of work and life, and the LIFE portion is what was missing from my previous job. These past few months, though, I've been more than making up for it! Last month, I spent a week in Sarasota visiting my old college roommate who I haven't seen in quite some time. It was great – we biked down to Venice beach, bar and appetizer hopping along the way. Next week I'm heading out to Connecticut to visit an old high school friend, and after that, I'm stopping in Atlanta to round out the friend tour! 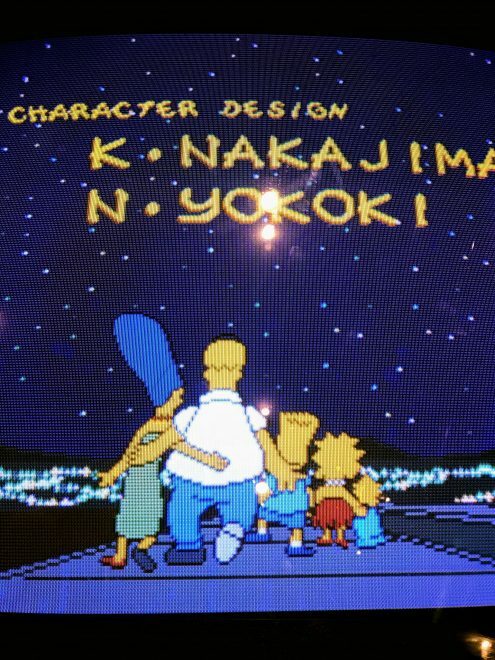 It's so nice to have time for this stuff again… last week some friends and I visited a new brewery in town that has classic arcade games, and I crossed a childhood dream off my bucket list: I actually beat the original Simpsons arcade game! Family is another big reason I wanted more free time. In the spring, I visited my parents for a few days and caught up with them. I slept in my childhood bedroom and reminisced about old times. 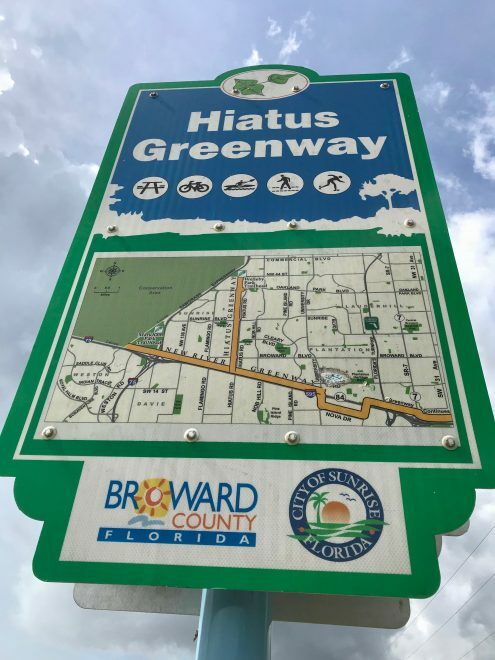 My dad and I took the bikes out and rolled down a new bike and pedestrian greenway they built nearby: miles of ultra wide lanes, beach and park connection access, and best of all: no cars! Biking trails are the best! 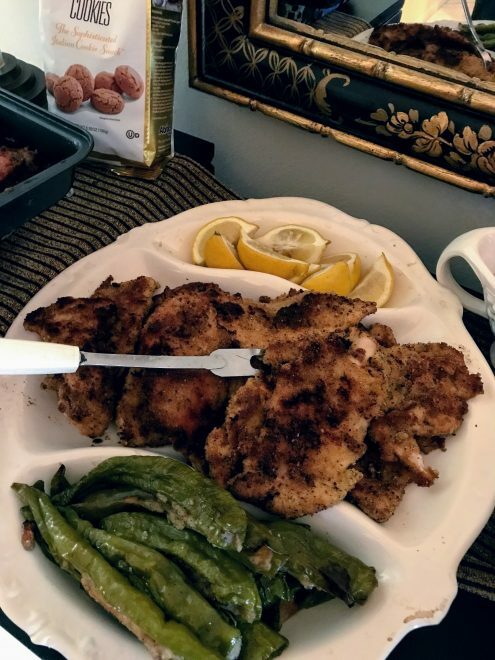 A few weeks later, for the first time in a long time, I took a trip down to the Miami area with my brother to spend a day cooking with my Grandma. She taught us her recipes for eggplant & chicken parmesan and stuffed Italian peppers, and we had the best time! This is the type of trip that I just didn't make time for when I was living in burnout land, but is so important. My Grandma won't be around forever, but now I'll remember this day every time I cook stuffed peppers. After dinner, Grandma showed us boxes of old family photos and told some pretty hilarious stories. This is some legit Italian food right here. My goal is to start having Sunday dinners with family and friends every week. Spend the majority of the day cooking, then spend the night around the table telling stories and laughing – this is essentially when I'm happiest, and my goal is to make it a weekly occurrence instead of a monthly or yearly one. In addition to spending leisure time with friends and family, I've also been keeping busy in my home recording studio writing and producing new music. Songwriting is a passion of mine, and for the first time in a while, I have the bandwidth to really dig in. Back in high school, I used to sell aspiring singers original songs for a thousand bucks a pop – it was the ultimate side hustle! 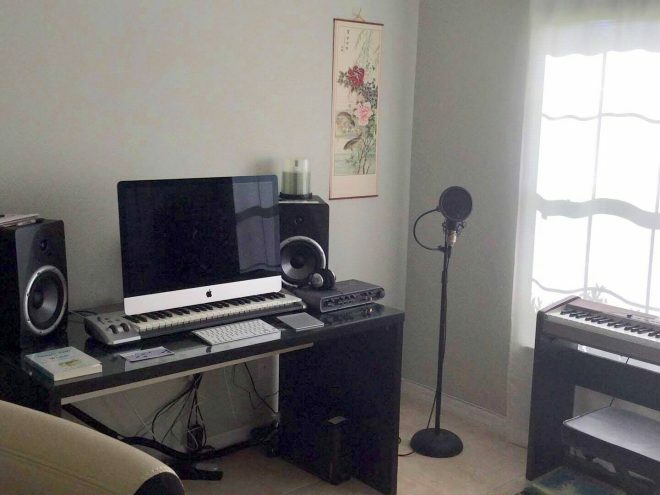 I built up a pretty great network, and made enough money to build a sweet home studio. But, my parents were convinced I needed to “go to college and get a REAL job“, so I had to put my music on hold for a decade or two. Unfortunately, I lost most of the network I built up, but the good news is I have time again. And I'm slowly getting back into the game. It's true that I've slowed down on the blog posts a bit lately, but I’m still writing! And not just music… I'm working on a FI book, though it's still in the early stages. I've been taking my sweet time on it, because, well, I have time. It's hard to stick to strict personal deadlines in early retirement for some reason. But you know what? That's OK. As I've mentioned before, my goal is simply to write whenever I feel inspired. When I feel passionate is when my best writing flows! It's true for all my creative endeavors: blogs, books, music… and lately, I've been spending lots of time living life and getting inspired. One thing that has me motivated to continue working on my book is the recent ChooseFI episode on publishing with author M.K. Williams. I met M.K. at Camp Mustache SE in 2017 and was inspired by her writing. If you haven't read Enemies of Peace yet, get on it – it's a real treat. You got a real attitude problem, McFly. You're a slacker! HEY – WHAT ABOUT MONEY?! OK, this is supposed to be a financial blog, and I haven’t written anything about money in this post! The funny thing is – I haven't really been thinking much about it lately. Since quitting work, I've found that money just isn't on my mind as much as it used to be, and actually, I find this quite refreshing. I'm really only checking up on my portfolio once a month, on the first, to update my net worth and track my spending for the month. One cool money thing I made recently is a LEGO*** portfolio to help visualize things and show change from month to month. 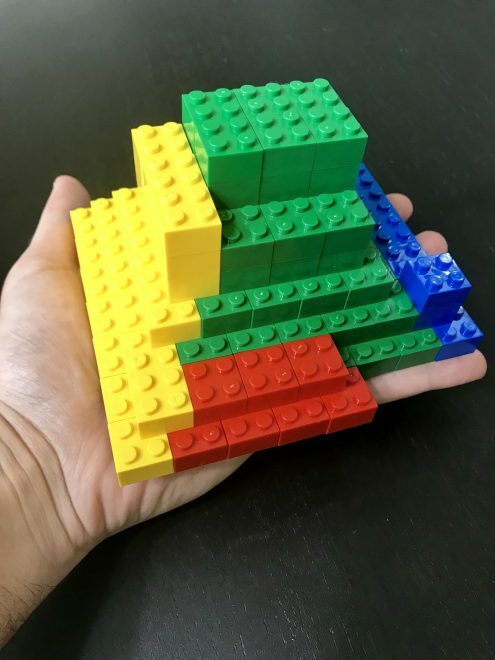 It's pretty cool: red blocks represent cash, blue are international stock, green are domestic stock, and yellow are bonds. Each individual LEGO block has four raised dots, and each dot represents one thousand dollars in our portfolio. Spreadsheets are great, but there's something really tangible about being able to hold your portfolio in your hands and add or remove a few blocks each month. So that's what I've been up to this summer! Between traveling to visit friends and family, writing a book, producing music, working on my physical fitness, and singing karaoke, I've been quite busy – busier than I ever imagined I'd be in early retirement. But it's not all non-stop action: I've learned to move at my own comfortable pace, and leave plenty of downtime for relaxation and reflection. Having free time available to spend on things that are meaningful to me is really what this Financial 180 was all about. As I've said before, time is more important than money. You can always earn more money, but you can't buy more time. So, you need to spend it on the people and experiences that matter most. This is what FI is all about! 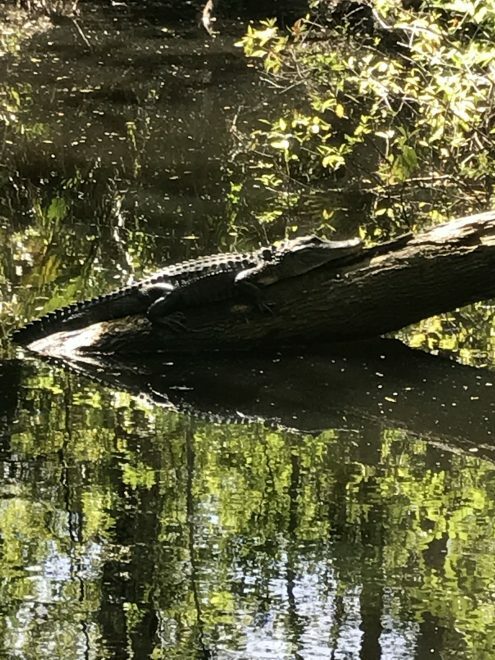 *Well, it's probably not considered ‘hiking' here in Florida because we have no elevation, but it's a nice outdoor nature walk that lasts a few hours. 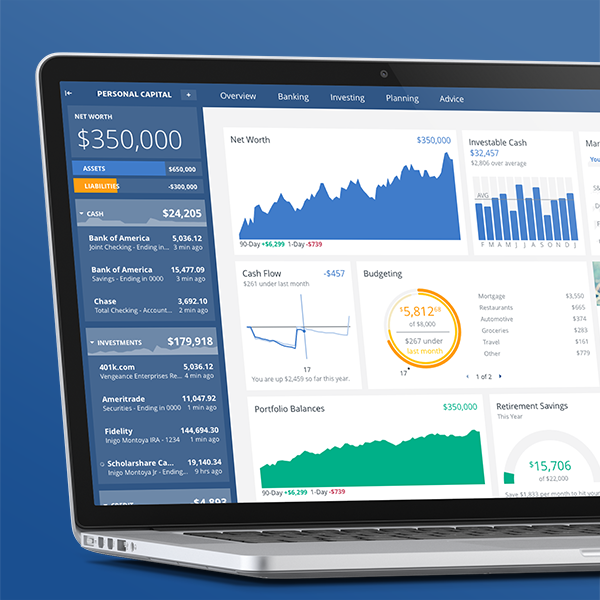 **I'm not the first finance blogger to do this: I remember seeing a picture of a LEGO portfolio on another blog, but I can't remember which one! If you know, let me know in the comments so I can give them credit. A) I agree with Laura, that post is up there with my all time favorites. B) I want one of you to write a behind the scenes of that mastermind! Awesome group. And C) Now I need to go dig out some legos and make my own representation. I am interested in joining a early retirement mastermind group. I am planning on retiring in 24-36 months and all systems are go. Any suggestions let me know. Nice to hear from you Joel! The Lego portfolio thing blew mi mind! I won the FinCon scholarship too! Looking forward to catching up in Orlando. What are you doing for lodging? It’s my first time at FinCon so trying to figure it all out. Congrats fellow scholarship winner! Let’s definitely get together at FinCon! I am sharing an AirBnB with a friend… I’ve heard it’s good to try and stay close to the convention center if you can. I’m also still figuring everything out, not exactly sure what to expect yet… looking forward to seeing you there! Thank you so much for updating it! Seeing what early retirement actually looks like for people is one of my favorite things to read. It sounds like you’ve got a lot of great things going on! And I absolutely LOVE the idea of 4 hours of structured and then unstructured time. I’ve been grappling with how I’ll deal with that in retirement (I know…plan ahead much? 🙂 ) and that sounds like a fantastic idea to get productivity and leisure in daily. Also, FinCon has a scholarship program?!?! Wow. I’m out of the loop. Congratulations on your win! I’d love to hear about what it’s like after you go (another post to add to the backlog? 🙂 ). I’ve been grappling with my decision to not go based on the cost, but maybe I can apply to that next year and see what happens. Thanks so much again! It’s really fantastic to hear how retirement is going. Thanks! Yeah, the 4 hours of “sit down and focus on something” per day is the perfect amount for me. Some days it’s only 3 hours, and some days it bleeds over to 5, but 4 always feels just about right. Yeah, I was a brand new blog last year and just missed the FinCon scholarship so I was glad to get it this year! It only has a two-week application window so you have to keep your eyes peeled for it. I’ll keep my eyes peeled! Also I’ve been rocking out to your songs for days. They’re great! Congrats on early retirement and finding your grove. I listened to some of your music, I like Fate. Nicely done. Still doesn’t compare to your Backstreet Boy’s performance with Big ERN. Agreed – nothing tops the Backstreet Boys revival… maybe we can get the band back together at FinCon?!?!?! Can’t wait to see you there. The alarm clock point really resonated with me. I found myself dreading my alarm clock (and dragging myself out of bed with great reluctant effort) until I finally realized I didn’t have the same trouble on the weekends. And your schedule is definitely enviable! 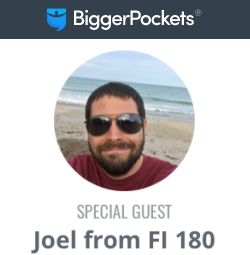 Really enjoyed reading about everything you have been up to Joel! 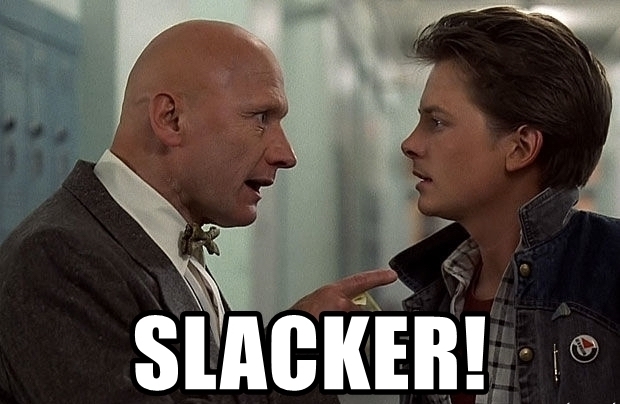 I find it ironic that you are calling yourself a slacker twice in this post but you are up to quite a bit, and all very good/interesting things. I definitely got some FOMO while reading what you have been up to. Really cool that are you are focusing on the music. I’m listening to your stuff as I type this – very cool, you sound great. Thanks for the mastermind shout out too. Thanks Andrew! Yeah, I have been busy, but it’s doing all the stuff I really enjoy doing. I guess I’m only a slacker compared to the FI twins. 🙂 Looking forward to catching up at FinCon! Previous Previous post: Fire Drill Podcast!